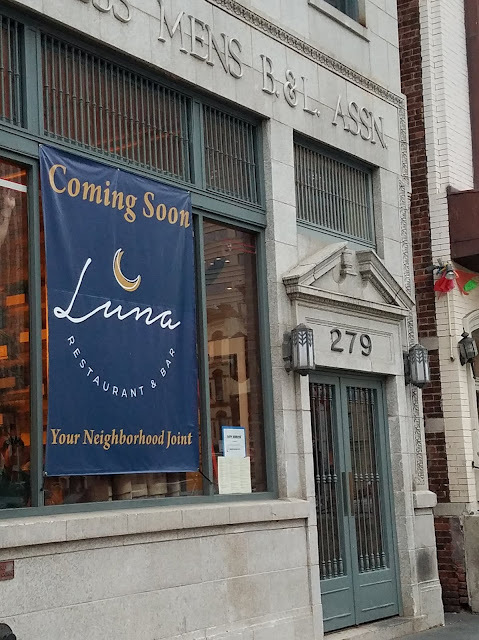 New bar and restaurant Luna, owned and operated by the owners of Paisano's in Rutherford, is scheduled to open to the public next week. Earlier this spring, it was announced that Luna would be opening in the former Park & Sixth space at 279 Grove Street. The news was met with mixed reactions as some celebrated the longstanding reputation of Paisano's and a menu that would extend further than pizza and pasta while others pointed to the number of Italian restaurants in the immediate area as examples of over-saturation. 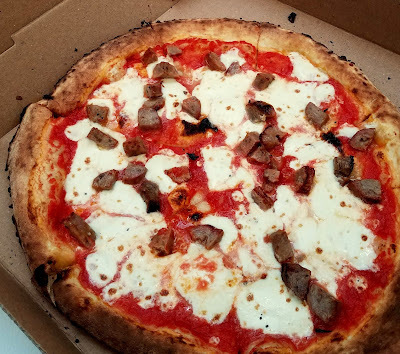 On their end, the owners specified that Luna would showcase a different, more modern menu and concept rather than relying on traditional Italian-American favorites. 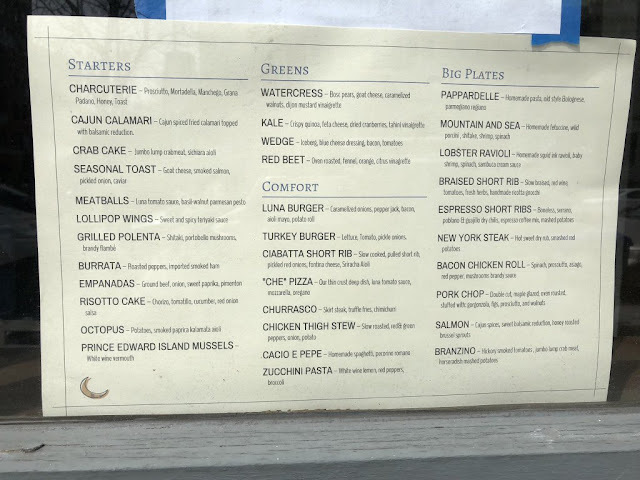 They want to showcase family favorite recipes and traditions, but not just what they already serve at Paisano's and true to that idea, they recently posted a menu on their window which shows a mix of flavors and dishes. They will also have a full bar including a specialty cocktail menu and wine cellar and they'll have a private room for parties and events.